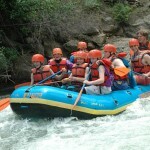 Clear Creek Rafting is exciting! January 7, 1859 was the day of the first major gold strike in Idaho Springs by George Jackson. This strike brought miners to the area, all in search of gold. 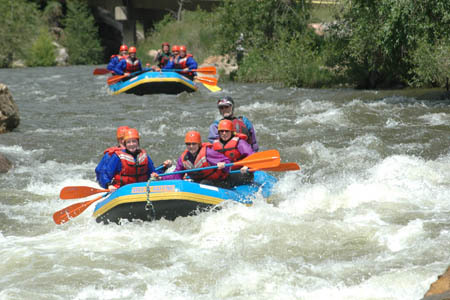 Today, people flock to Idaho Springs and the surrounding area for the many recreational activities it has to offer such as rafting on the Clear Creek River. 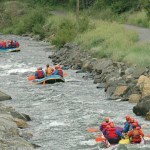 Clear Creek is the closest raftable river to Denver, only a 30-minute drive. 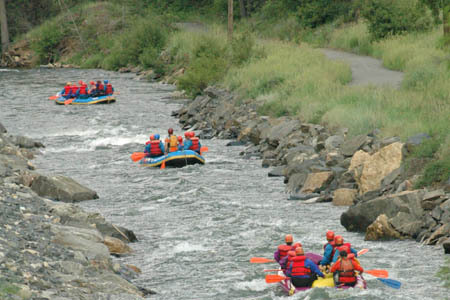 This narrow, steep and technical river winds through the historic valley of Idaho Springs. 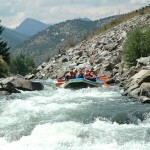 Clear Creek River has more rapids than most commercially rafted rivers in the state. 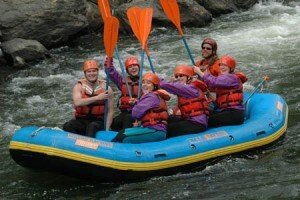 Normal rafting season runs from May through July. 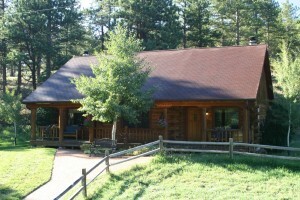 Enjoy beautiful mountain scenery and wildlife. Watch carefully during your time on the river, you may see muskrat, beaver, deer, and bighorn sheep, with an occasional mountain lion or bear. 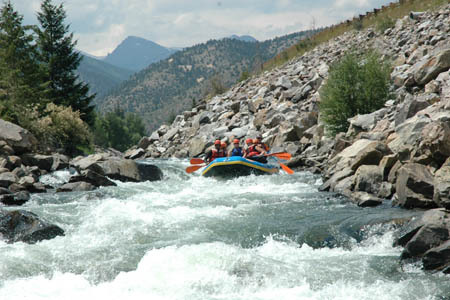 Clear Creek has an average gradient of 67 feet per mile, and over 100 feet per mile on the advanced sections of the river. 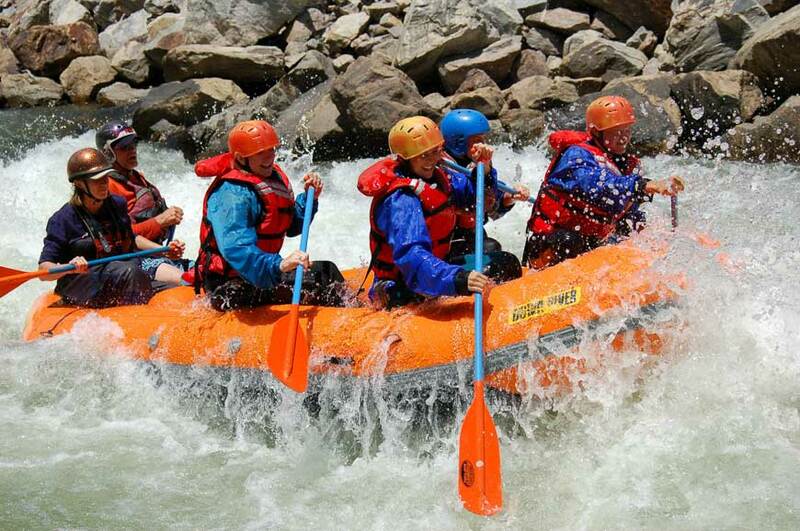 For an exciting advanced trip, you will weave your way through 30 major rapids. 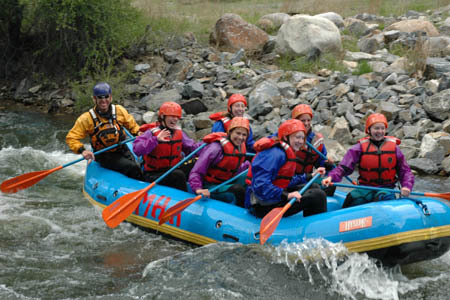 This relatively small stream also offers trips for beginners and intermediate rafters with rapids generally Class II-III-IV. Sure Shot – Fun for the whole family! 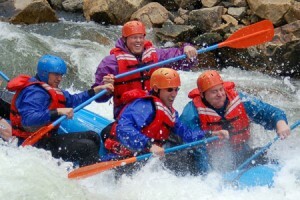 Sure Shot is beginner rafting trip for all. Experiencing Class II rapids (ripples). 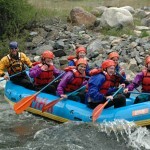 While rafting through Historic Idaho Springs. Move on to Class III rapids of Castle Falls and Argo Holes. Below town history and nature abound, with the occasional sighting of Red tail Hawk, Deer, Fox, Bob Cat, Elk, and Big Horn Sheep. Prepare yourself for the grand finale of Mr. Twister! 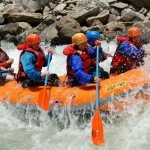 A perfect first timer rafting experience with Class II water and then the Class III rapids. There is a 50 pound minimum weight to insure your safety. Trip time allow for 3 hours. 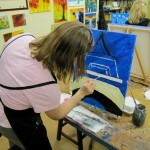 Blast – an Intermediate Half Day experience. If you are active in your daily life the Blast is for you. With five solid class IV rapids and more class three whitewater than we can count. 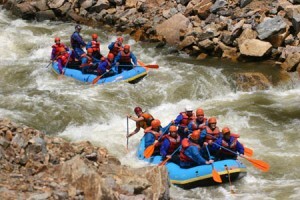 With the most consistent whitewater rafting the Blast is for you. The Blast is best suited for people in good physical condition and an attitude for adventure. Minimum age 15 Allow 3 hours for the trip. We have evening trips to accommodate those who work or have a busy day scheduled. Evening trips start after 5:00pm, with your choice of Sure-Shot or Blast. Pricing is the same as our daytime trips. Grab a friend, co-worker, or the whole office and enjoy an evening of whitewater fun. Brave the rapids of the Kamikaze trip the best darn whitewater around. Two miles of continuous class IV/III whitewater on the Blast will bring you back over and over again. 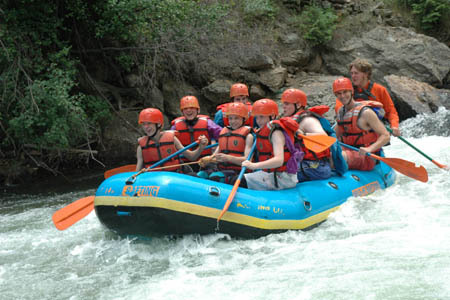 Whitewater rafting experience and the ability to swim is recommended. Minimum age 16. Allow 3 hours for the trip. 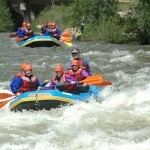 The most consistent whitewater available on the Front Range maybe even in the State. If action is what you are looking for then this is for you. We start off on the banks of Clear Creek above the town of Lawson. 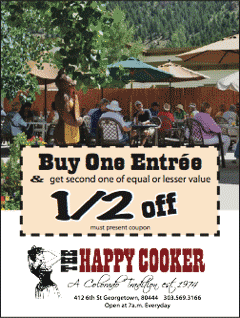 Begin your day of excitement braving the Kamikaze then enjoy a tasty lunch. Continuing downstream, plunging into the awesome class IV rapids of the Lower Canyon, including Ejector, Double Knife, Deep Hell, and Terminator. An adventure for the brave! Comfortable, quick-drying clothing. Or a swimsuit is best. No cotton. Secure footwear no flip-flops. Wetsuit and Boot rental available for $3. For Cooler weather add fleece, polypropylene, or wool. Don’t forget the Sunglasses and sunscreen! Bring dry clothes to change into after the trip and a towel. Minimum age requirements based upon water flow and group minimums may apply. An experience your family will cherish forever. A unique vacation experience with deluxe accommodations, lots of fun activities, and fabulous food. 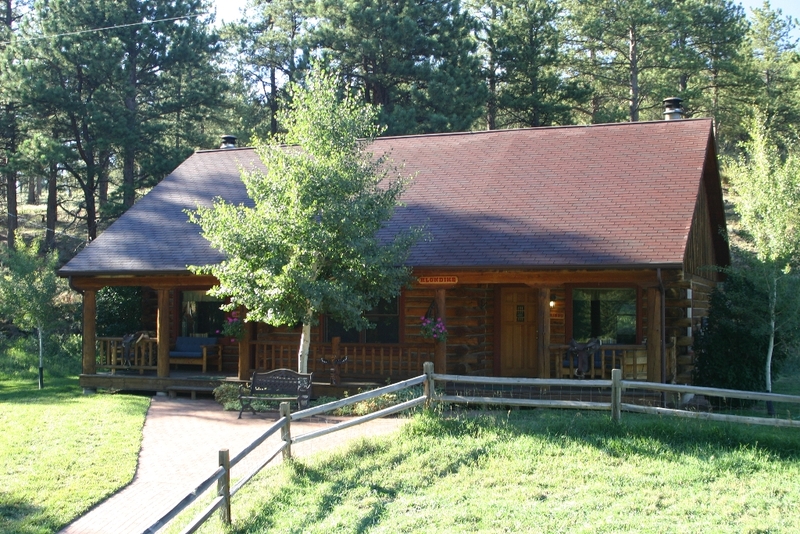 When it comes to your family vacation in the Colorado Rockies, we know how to provide the most memorable experiences, offer incredible hospitality, great food and superior value for your investment. Let one of our experienced guides take you to one of our many rivers, small mountain streams, spring fed ponds or high alpine lakes. 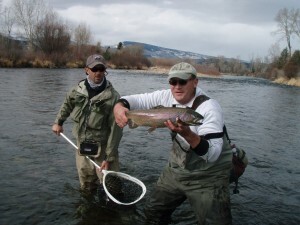 We offer year round fishing and have an extensive knowledge of local Rocky Mountain waters. Trip locations are based on your preference, experience, water and weather conditions, plus the current insect hatch. Our guides go above and beyond to ensure you personal instruction, fun and an exciting experience, and a lasting memory for a lifetime.